Blog Jog is a trot around the blogosphere, each blog linked to the next so that you can explore new blogs with a simple click on the link to the next blog. Many participants will be offering giveaways and contests, and so will I. 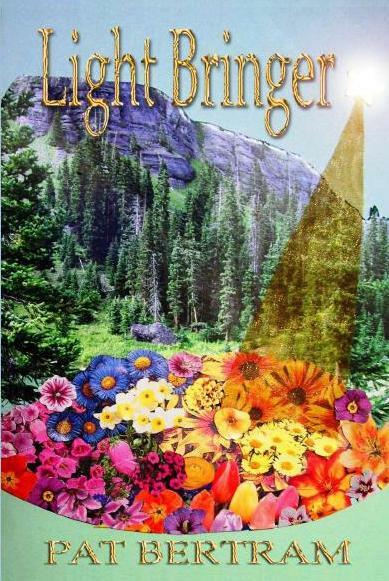 Anyone who leaves a comment on my Blog Jog post tomorrow, August 7, 2011 will be entered into a contest to win a free download of one of my novels, including my latest, Light Bringer. Malcolm Campbell, author of Garden of Heaven, Jock Stewart and the Missing Sea of Fire, The Sun Singer, and Worst of Jock Stewart had this to say about the novel: Light Bringer is TYPICAL BERTRAM: plots within plots, multiple characters with multiple agendas, fast moving, more than enough mystery and intrigue for everyone, satisfying conclusion. Author Aaron Lazar has this to say: I’m already a fan of Pat Bertram’s books. I’ve read them all and loved them deeply. But LIGHT BRINGER was something completely new and surprising… surprising in its freshness, originality, its genre bending brilliance. Part thriller, part fantasy, part sci fi, part mystery…its plots were large and complex, encompassing themes that plague us every day; offering social and world commentary blended with weather trend observations (where ARE all those tornadoes and tsunamis coming from??) I do believe Bertram has defined a new genre, and it is a pure delight. Fresh. Original. Riveting. The characters are real and engaging. I particularly enjoyed the bit of romance between Luke and Jane – yes, another subplot. I couldn’t put it down and extend my highest compliments to Ms. Bertram for her supremely smooth writing – there are no hiccups in this book. Very highly recommended. So stop by tomorrow, leave a comment on my Blog Jog Day blog, and you might win an ecopy of one of my books, including Light Bringer.